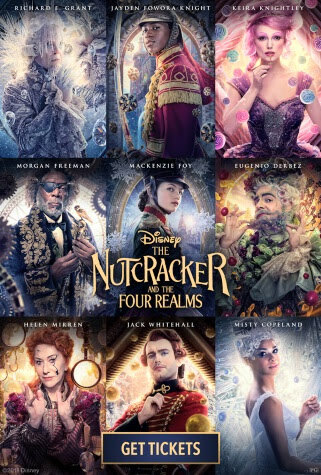 Disney's The Nutcracker and the Four Realms opens in theaters everywhere on November 2nd and I can't wait for families to see. After screening the film this week, I was so impressed with how one of my favorite holiday performances was adapted into a live film. Disney's The Nutcracker did a great job of making the traditional story elements, we all know and enjoy, with some new twists. While The Nutcracker story is still the main appeal, it has a modern feel which branches off in unexpected ways. It was amazing to see "realms" come alive with just a touch of different elements from The Nutcracker ballet. 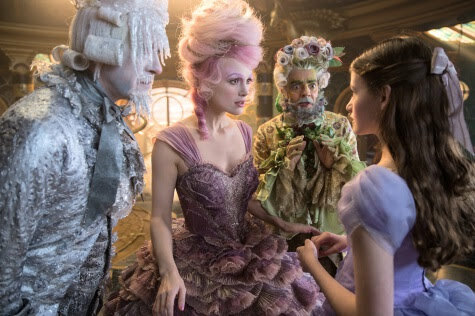 Also a nice touch was the mixing of The Nutcracker traditional ballet moment within the film. Misty Copeland did an amazing performance that will thrill long time fans of The Nutcracker. 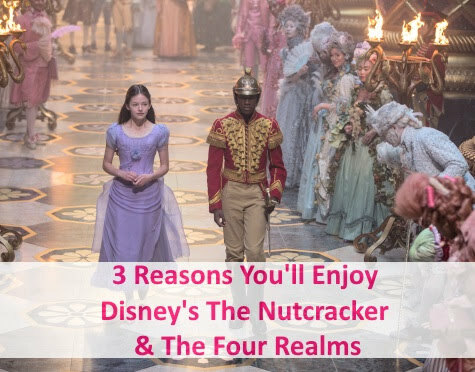 While these are some of the main reasons I enjoyed the film, Disney's The Nutcracker has alot more to offer. Clara (Mackenzie Foy) is so multi-dimensional and I was loving it! We first meet Clara as a girl grieving, but who is still knows what she wants and is on a journey to find out who she is. By the end of the film, Clara is a princess leading an army to save her land and actually doing some of the fighting. Go Clara! Oh my goodness. The fashion. The style. The beauty of it all. 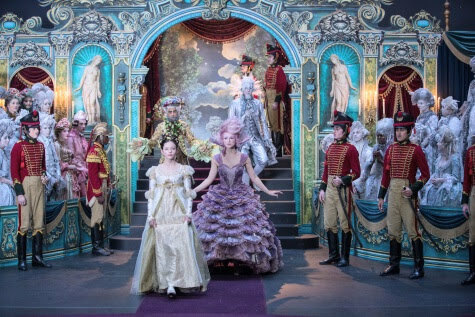 Disney's The Nutcracker is all about that and it's so visually appealing. Seriously all that is part of the story telling and you'll want to see it. I've talked a little about this but it also needs it own section. If you going into see Disney's The Nutcracker thinking you know how it goes, your going to be surprised. There's new take on old characters, new ways of explaining things and unexpected endings. It's all SO good! 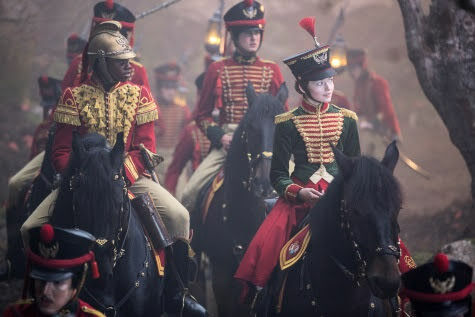 Tickets are on sale now for Disney’s THE NUTCRACKER AND THE FOUR REALMS — available wherever tickets are sold. Directed by Lasse Hallström and Joe Johnston, and inspired by E.T.A. Hoffmann’s classic tale.